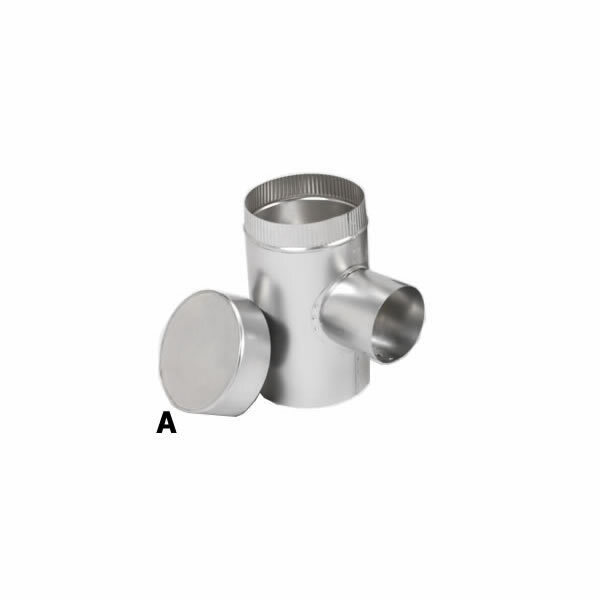 Flexi-Liner aluminum tee cover is made from 2 ply 3003 alloy aluminum construction and is used to cover an unused end of your aluminum tee. These chimney liner pipes and components by Selkirk are designed for use for existing masonry or listed factory built chimneys and vents for Type B Category I listed gas fired appliances which burn natural gas or propane. All Flex Liner chimney liners and components are UL 1777 listed and should be installed in accordance with manufacturer's instructions.